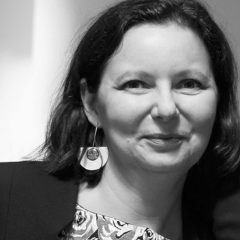 At the end of 2017, our colleague Ewa Posecka applied to become a social translator of information texts from Dutch into Polish for Atlas, the Agency for Civic Integration in Antwerp (Integratie en Inburgering Antwerpen). Atlas supports the city of Antwerp in implementing the Flemish community involvement and integration policy. A special Atlas team coordinates the demand and supply of social interpreting and translation for organisations in the public and welfare sectors, as well as supporting non-Dutch speaking citizens in Flanders in their oral and written communications with social and public agencies. Ewa had to go through an award procedure to become eligible for this public contract. As she has been a certified social translator in Belgium since 2014, she already met the competence requirements. Social translators must comply with strict guidelines and a professional code of ethics. Ewa is now included in the Flemish Government Qualification System, meaning that she can be allocated Dutch-Polish translation jobs by Atlas. We would like to warmly congratulate Ewa on winning this framework contract and we wish her lots of luck with her first translation job!